ViewPoint online share trading software. The frequent trader's platform of choice. With Desktop Broker, you can access to the next generation IRESS streaming platform, ViewPoint. ViewPoint is seamlessly integrated with a Desktop Broker Gold or Platinum trading account, enabling you to place your orders either through ViewPoint or the Desktop Broker website. 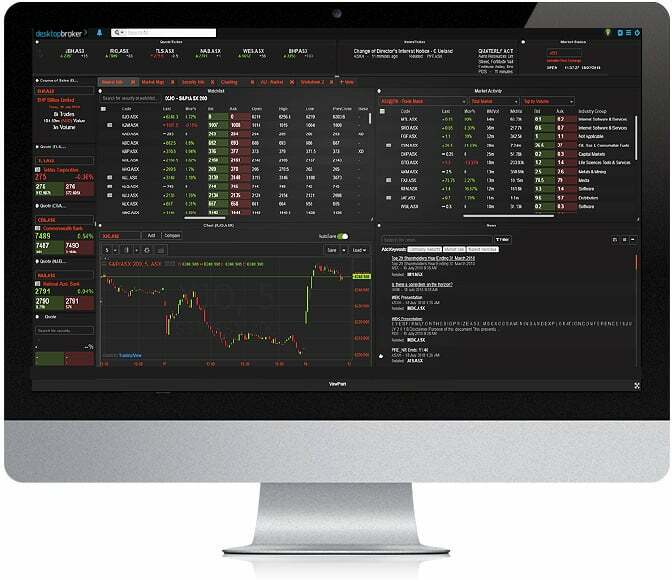 A free Desktop Broker Gold trading account, seamlessly integrated into ViewPoint. If you are already a Desktop Broker adviser, login to your account and click on the IRESS icon. Tick the Terms and Conditions box and enter your pin.